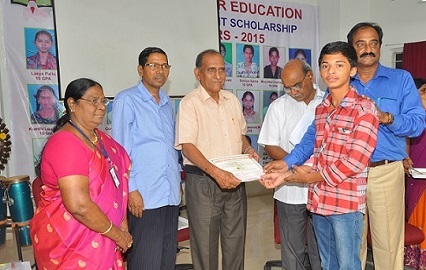 Total 25 winners have been selected for the academic year 2014-15 based on the GPA that they earned in their 10th grade. 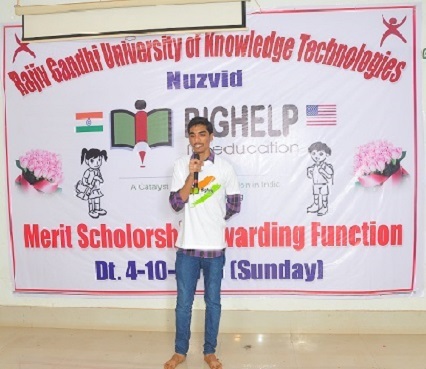 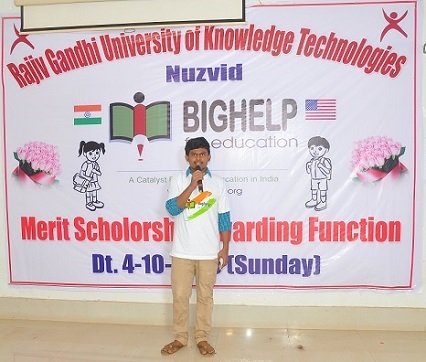 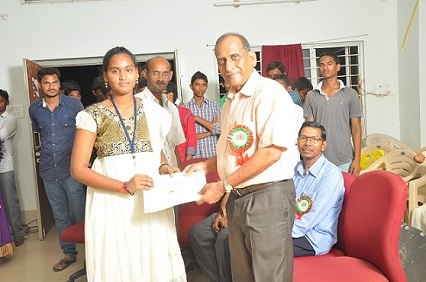 Scholarships were distributed on 04-10-15 by inviting all the students with one assistant to the function which was conducted at Indian Institute of Information Technology (IIIT), Nuziveedu campus. 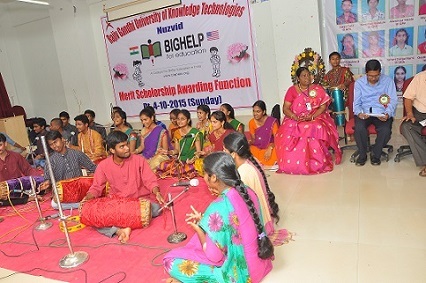 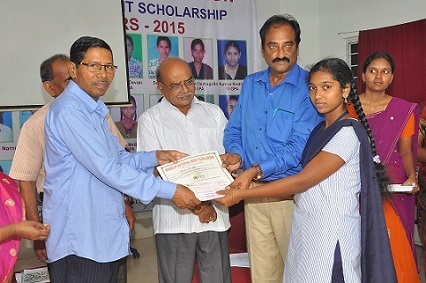 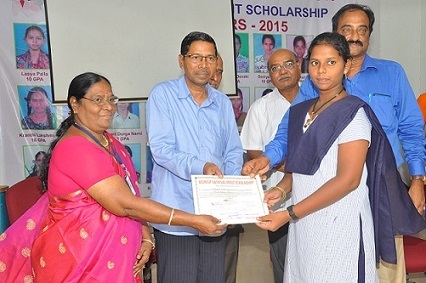 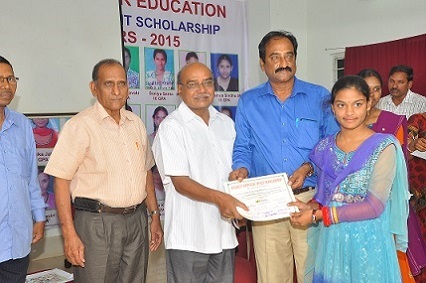 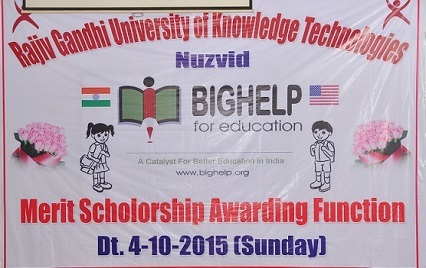 Each student was honored with cash prize of Rs.5000/-, Merit certificate and a memento through chief guest Sri. 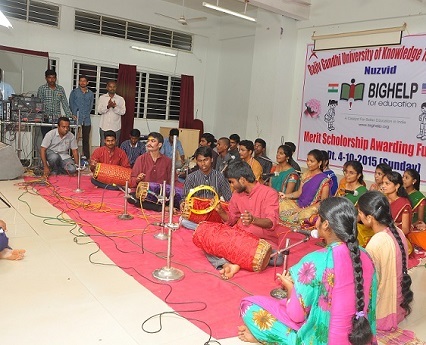 Rama Rao Garu Principal of Nagarjuna University in presence of other dignitaries. 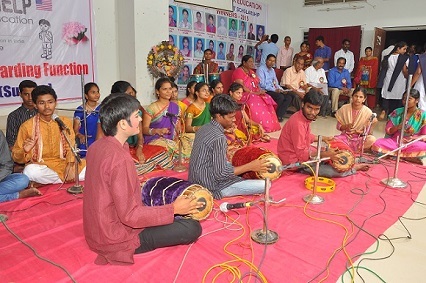 All of them are advised to follow discipline, improvement of performance in education and mould themselves as best citizens.